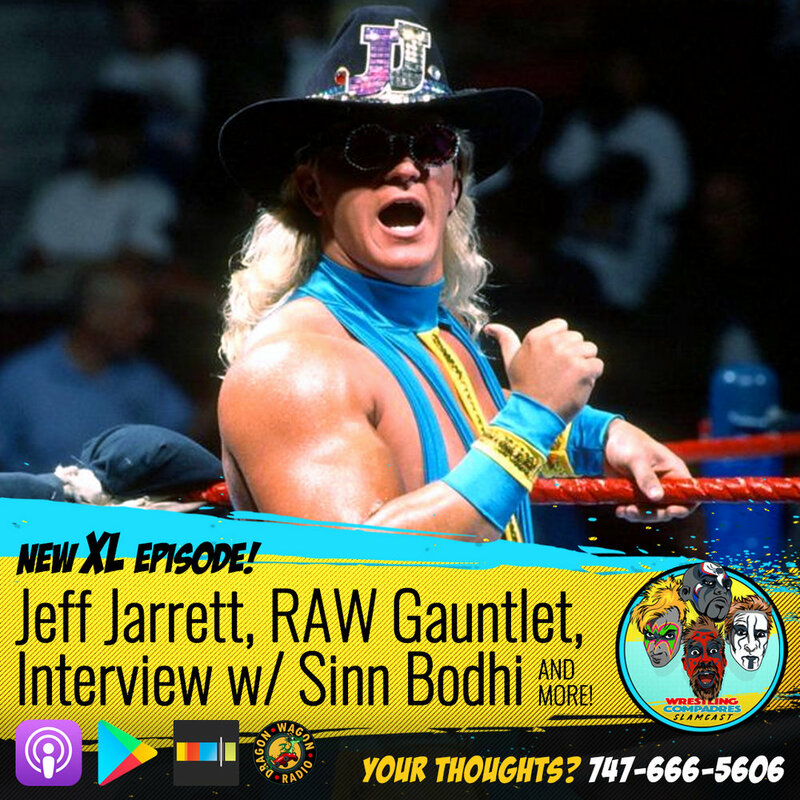 Special Guest Sinn Bodhi, Jeff Jarrett HOF & Elimination Chamber Predictions! Jay Washington triumphantly returns and is joined by Scott and Jake in studio while Jonny is out on the road. The trio discuss Jay's near death experience before tackling the surprise news of Jeff Jarrett's WWE HOF induction announcement, whether or not Brian Cage is a future IMPACT star and which popular internet character Bobby Lashley resembles. Than Scotty sits down with the Warlord of Weird, Sinn Bodhi for a fantastic in depth interview about his wrestling school as well as the Fantasy Slam Pro Wrestling Camp. Last but not least the road to Wrestlemania continues with the RAW Gauntlet match that has everyone talking heading into this weekend's Elimination Chamber event!